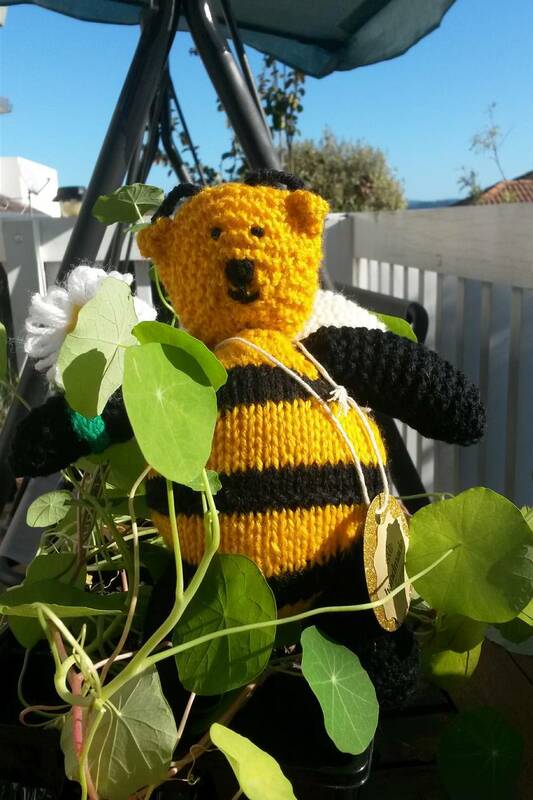 Honey bear is a hand knitted teddy bear ready to be adopted by a child or an adult, or even a beekeeper! It measures approximately 22 cm high, and has been filled with polyester filling. 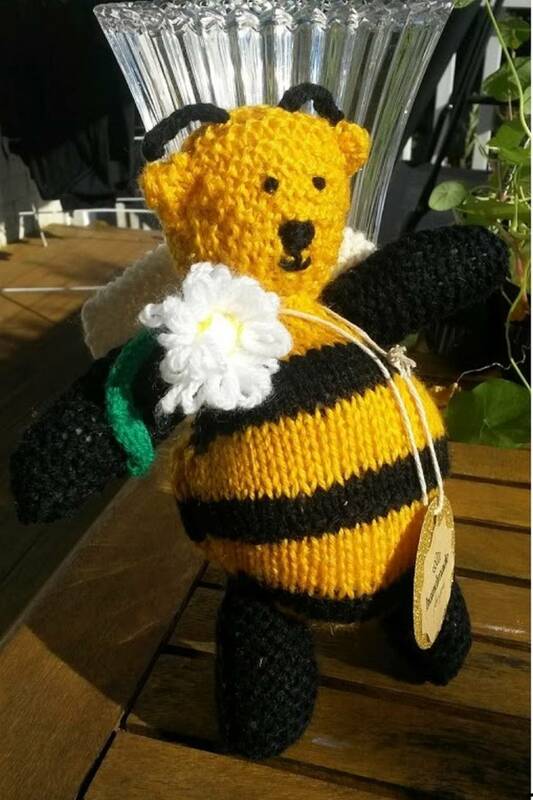 Honey Bear has a double set of wings that have been knitted using cream wool and have been attached to the back. 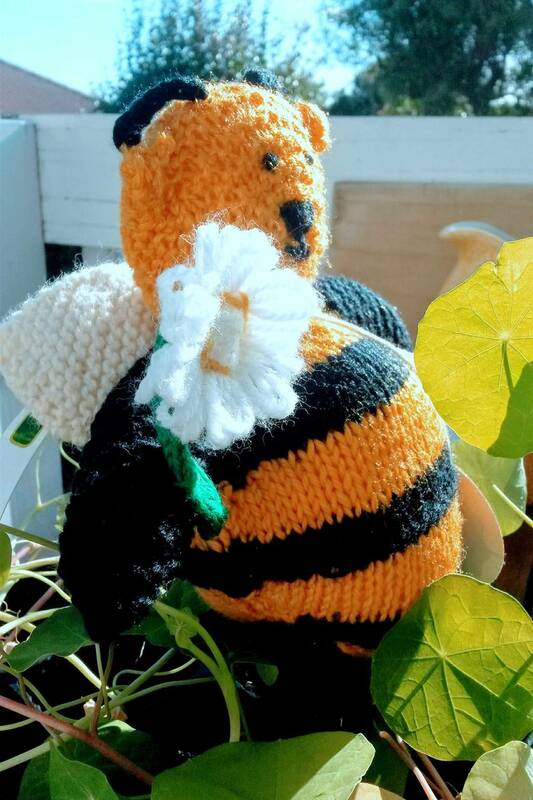 The handmade daisy attached to her hand may help save our bees! The cute features have been hand embroidered with wool making it safe for a young child. Contact trixiestreasury to enquire about payment or shipping options.